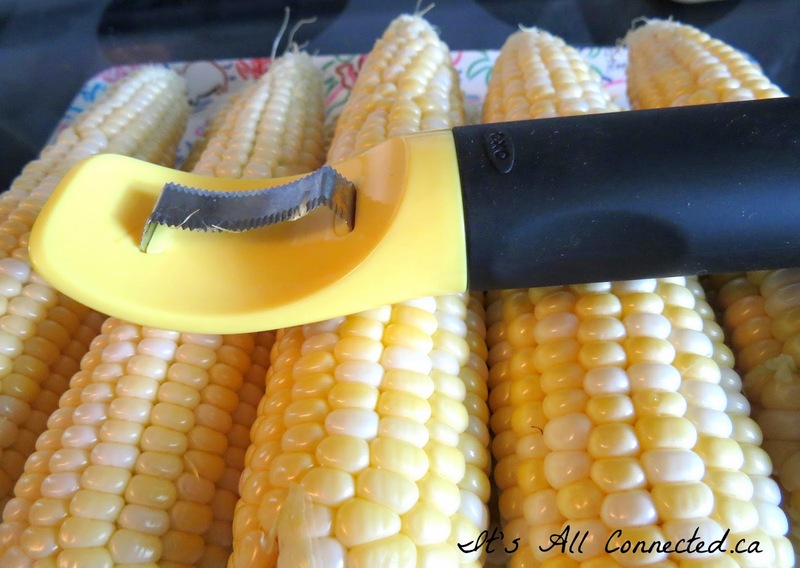 It's All Connected: Time To Get Some Corn In The Freezer! Some garden produce I freeze I'm so so about. It's okay, but not great. Corn does not fall into that category. 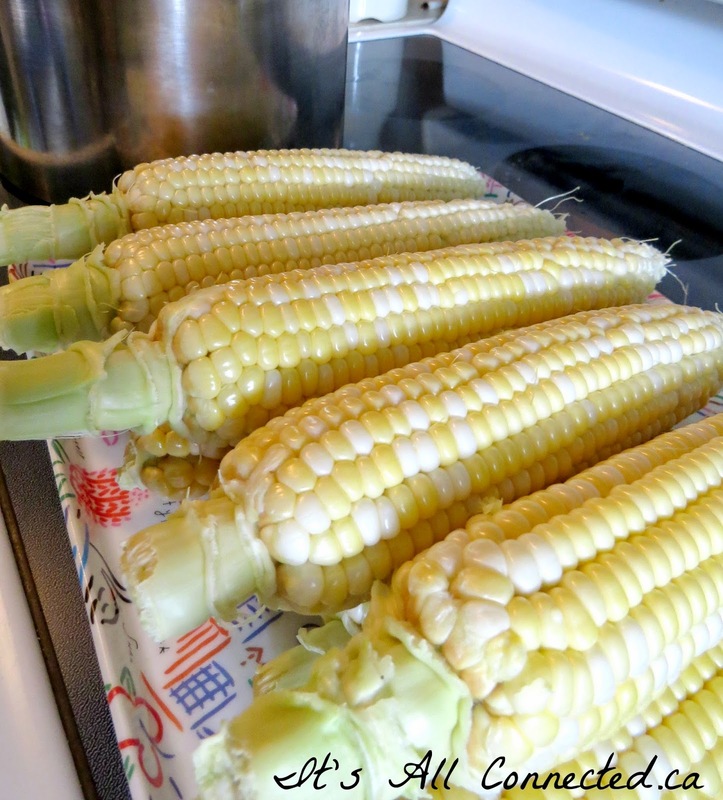 Farm fresh corn, blanched and frozen, tastes exactly like ... well, like ... corn on the cob! It's a 'must have' for the freezer for me each year. 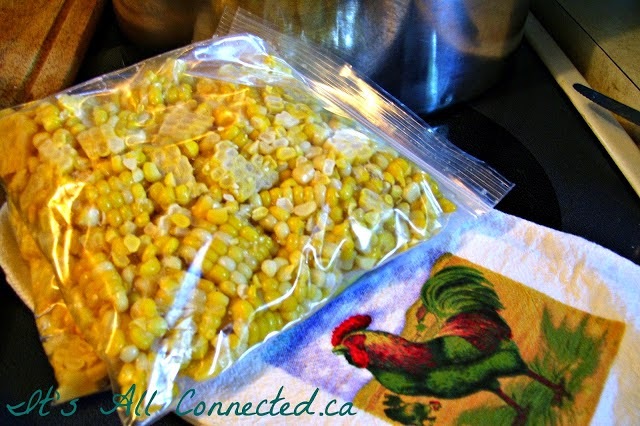 For the full instructions on how to blanch your own; click on How Easy Is It To Freeze Corn? The only mucky part of the business was cutting the corn off the cobs with a knife. Not anymore! It took about 5 rows of corn off, neat as a pin, with each swipe. You can tell I've been using it already by the bits stuck on the blade. The niblets were nice and even and there was no cutting into the cob by accident. Bit of a bumber for the chickens, who didn't get to pick off all at the corn bits that were left over as usual. Don't go feeling all sorry for them and reporting me to the chicken branch of PETA! I threw them a few cobs to make up for it. I'll be ordering one of these for all my organic food loving friends and any of the kids in the family who wear braces. Yay, they can have corn on the cob again! I have to put a little disclaimer here. As of today, I'm an Amazon.com affiliate. I'm not totally sure what that means, but my blogging friends told me to do it. If you bought a gazillion of these things I might get rich, or at least make enough money to pay my blog hosting fees. I sure hope this doesn't bother any of you and I promise never to link to a product that I haven't used and loved myself!